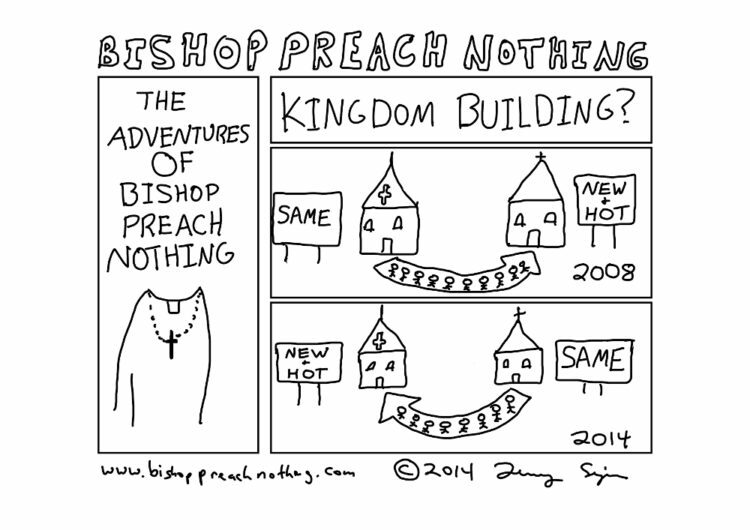 / Are We Building the Kingdom? I was talking to someone the other day about how often our “kingdom building” is nothing more than “rearranging the seats.” Now don’t get me wrong, I am not saying that you must worship at one particular location. Neither am I arguing that what we commonly call “church hopping” should be condemned as something that should never happen, but what I am saying is that this phenomenon does seem to hide little progress as the kingdom growing. As this cartoon illustrates, before and after these changes we end up with the same amount of folks going. Have we done anything? Is this kingdom building? What can or should we do?